The Mercedes CLS Shooting Brake has been unveiled at the 2012 Goodwood Festival of Speed, ahead of it going on sale in November. Mercedes describes the CLS Shooting Brake as a coupe, but it’s effectively a swoopy, ‘lifestyle’ estate version of the CLS saloon. It’ll be a rival for cars such as the Audi A7 Sportback, BMW 5 Series Gran Turismo and Jaguar XK Sportbrake. The word “kuro” means “black” in Japanese, and several special edition kuro models have made there way to the UK from Japanese automakers in the past few years: the Nissan Juke Kuro last year and the Mazda RX-8 Kuro in 2007. Mazda has gone back to black with the MX-5 Kuro, but unlike those other cars, this one is oddly available in Crystal White Pearlescent, as well as Velocity Red Mica and Brilliant Black. It will come in either 124-horsepower, 1.8-liter soft top or 158-hp 2.0-liter Roadster Coupe forms (read: retractable hardtop). Sportiness is the brief, but while the softie gets a five-speed manual, the Roadster Coupe bags a six-speed manual, limited-slip differential and side airbags. Upgraded spec for both variants throws in a new rear bumper with larger exhaust tips, “race car inspired exterior” graphics, 17-inch gunmetal wheels, along with Brilliant Black side mirrors, roof and trim. Inside, the black treatment is contrasted with stone-colored leather on the heated seats, as well as red stitching and alongside alloy pedals. Climate control will come standard. Just 200 examples of the £18,495 soft top ($28,905 U.S., inclusive of UK VAT) will be on offer when it goes on sale July 1, while 400 examples of the £21,995 Coupe Roadster ($34,375) can be had. Scroll down for a press release with more info. 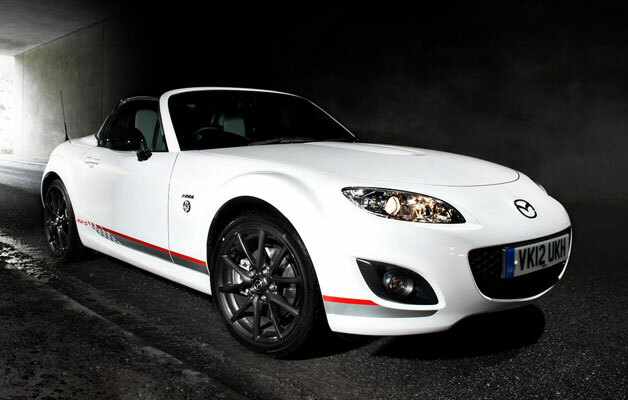 UK gets Mazda MX-5 Miata Kuro special edition originally appeared on Autoblog on Wed, 27 Jun 2012 17:29:00 EST. Please see our terms for use of feeds. We’ve added a second Jaguar XJS to our fleet – this one is based in Yorkshire. Experience the ultra svelte, smooth Coventry cat on the roads of North Yorkshire – pure relaxation…. The Ferrari California has received a few important updates lately, and exotic car tradition would hold that those were intended to keep the “starter Ferrari” fresh for a few years. But according to a report in Car and Driver, the maestros in Maranello have bigger plans for the four-year-old car: the introduction of a completely new one, as soon as next year. Five years is about the lifespan of a fruit fly when it comes to exotics, but Ferrari apparently isn’t happy that the California is considered the ‘not-really-a-Ferrari’ within the range, despite having set out to explicitly create a more accessible car to court new customers. According to C/D, this means an entirely new body is on the way, designed by the in-house team with the assistance of Pininfarina. It will supposedly return to Ferrari’s front-engined GT roots, taking inspiration from the 250 GTO, with a much cleaner line from front to rear, and slimming down the Sir Mix-A-Lot rear end while maintaining a folding metal roof. The redesign will continue underneath, with the new convertible getting a turbocharged V8 – Car and Driver says that’s the “unmistakable sound” we recently heard from the California mule lapping Fiorano recently. The engine is expected to surpass the 500 horsepower mark on its own, but wait, there’s more: it will be fitted with “an F1-inspired KERS-like” package that could add another 100 horses and propel the droptop from 0-to-60 in no more than 3.5 seconds. On paper, this details read like a wishlist for true Ferrari fans, and it is such a move away from the current car that the name could be changed. If the rebooted cabrio puts them together properly, then the next California – or whatever it is called – might finally be invited to join its siblings at the adult table. Scroll down to revisit the spy vid that purports to show off Ferrari’s turbocharged future. 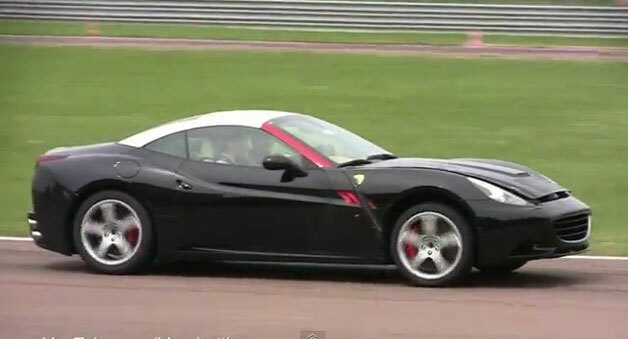 Next-gen Ferrari California closer than you might think [w/video] originally appeared on Autoblog on Wed, 13 Jun 2012 17:59:00 EST. Please see our terms for use of feeds. We’ve announced our 2012 rally events calendar with 7 unique chances to sample cars from our 70 strong fleet…. Toyota is using the 2011 Tokyo Motor Show to reinforce its position as an environmental technology leader with three concept cars, one near future, one mid term and one way out there. Volvo has its heart set on a new, larger luxury coupe, according to Inside Line. 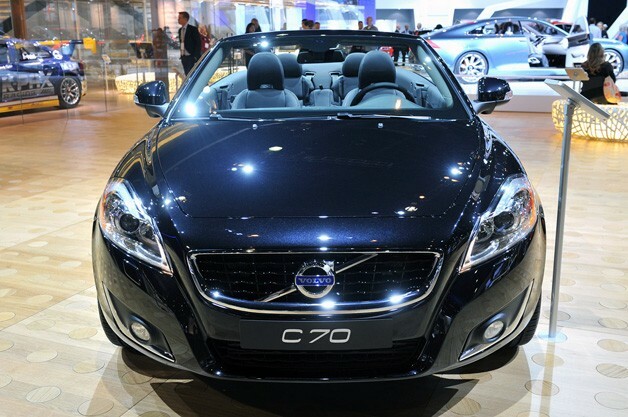 The Swedish automaker aims to build a model slotted above the current C70. Dubbed the C90, the model will compete directly against hardware like the Mercedes-Benz E-Class Coupe, which means a convertible version will likely follow as well. The news comes via unnamed insiders. The C90 will be built on the same Scalable Platform Architecture as the upcoming C80. As such, we can probably expect the new two-door to share the C80′s gasoline and diesel drivetrain options. Given Volvo’s affinity for plug-in hybrids, we wouldn’t be surprised to see a battery pack show up eventually as well. Unfortunately, none of this is written in stone. The C90 still hasn’t made it into the Volvo model cycle plan, meaning the luxe two-door won’t see the light of day until 2015 at the earliest. Still, the news underscores Volvo’s intention to move upmarket and fight head to head with entrenched European luxury brands like Mercedes-Benz and BMW. Volvo contemplating C90 luxury coupe originally appeared on Autoblog on Sun, 03 Jun 2012 16:04:00 EST. Please see our terms for use of feeds. Ginetta hit a significant milestone in their manufacturing process last week as they led a convoy of G60 and G40R’s into Le Mans ahead of the famous Le Mans 24 Hour, which included BTCC star Tony Hughes in his brand new Ginetta G60. We’ve finalised our hire fleet for 2012. We have moved a few cars and lost a couple. You can book now for 2012 at 2011 rates…..